In the days leading up to the Hari Raya, brands have released a slew of ads featuring common themes such as gratitude, family, love and unity. With the festive season just around the corner, let us sit back and take a look at the top 10 ads ads that have caught the eyes of viewers on YouTube this Raya season. Mudah.my’s “#GoodByeGoodBuy” campaign centres on the point-of-view of a young Malaysian who wants to sell off some of his old possessions to earn money for a new purchase, which will enable him to “balik kampung” (return to his hometown) for the festive season. Through the video, Mudah.my seeks to encourage Malay youths and young adults to go onto its website for their buying and selling needs ahead of Hari Raya. At the time of writing, video garnered 3.1 million views, 13,000 reactions and 391 comments on Facebook. The video also has over 5 million views on Youtube. Celcom plans to give back to the less fortunate this Raya through its series of ads titled #MakKata. The ads feature Malaysians sharing their favourite Ramadan and Raya “petua” (tips) from their mothers. Every video view will help unlock a contribution towards non-profit organisations in Malaysia. The video below has captured the hearts of many with an adorable girl wagging her finger saying, “Mum said, ‘Fast okay, not diet! '” Celcom’s Raya ads have garnered 1.5 million views and raised RM80,000 at the time of reporting. The ad highlights the good qualities of drinking Dutch Lady milk and eating dates during Sahur. The ad had over 2 million views at the point of writing. Its latest ad shows a group of adults getting all hyped up about their travel plans to different destinations this Raya. This is coupled with a catchy jingle that encourages consumers to book their flights and hotels via the Traveloka app. The ad has over 1.8 million views on Youtube. McDonald’s brought back its Lazeez Foldover with chicken and Mashwi Foldover with beef specially for Ramadan. The video shows the mouth-watering process of the two Foldovers being prepared and ends with a family having a Foldover meal. The video has over 1.5 million views on Youtube. Lazada surprised members of the public by offering them with a unique Raya experience through virtual reality (VR). This video garnered over 1.5 million views on Youtube. #SnickersMemahami chronicles the journey of two non-Muslims who decided to fast for three days in order to experience what Muslims go through during Ramadan. At one point in time, the two main leads were caught in a traffic jam when it was time to break fast. In an attempt to quell their hunger, they snacked on a Snickers bar. 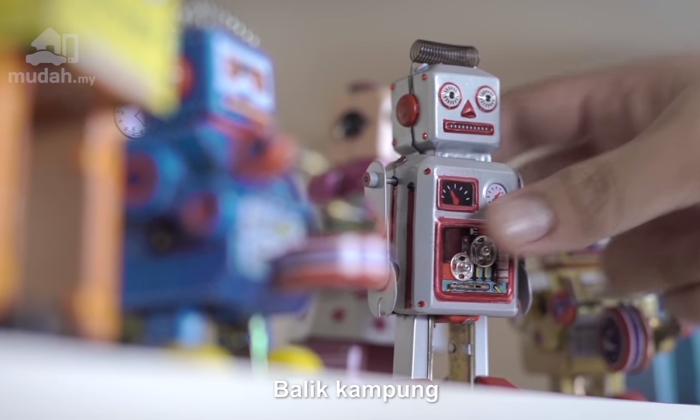 This ad, which has garnered over 1.4 million views on Youtube so far, aims to highlight the concept of unity among Malaysians, with people from different backgrounds making the effort to understand one another’s experiences. Expedia’s Raya ad showcases the theme of family, love and food. In the video, the mother craved the various types of food that her late-husband used to bring back from his travels around the different states in Malaysia. Her caring sons decided to book a few trips via the Expedia app to purchase her favourite dishes, thus satisfying her heartache and curing her heartache. Expedia’s video has over 1.4 million Youtube views. The video revolves around the theme of love, showing two individuals falling for each other and their relationship blossoming like a flower. While they have great chemistry, their long-distance relationship is holding them back. Hence, either one of them will have to make the sacrifice to be united. The video has over 1.2 million Youtube views. Spending time with loved ones this festive season is more important than anything else, including work. The video shows a male working overtime initially, but changed his mind when he watched a video message from his parents and saw that others were with their family members. Samsung’s ad has over 1 million Youtube views. Do you have a favourite Raya ad? Share it with us! In 2019, Chinese players are estimated to take away US$45,750,768 in winnings from eSports. .. In a call for consumers to wake up to the importance of collagen in keeping skin youthful, beauty group Neo Derm will roll out a c..